Defined as, the process involved in creating a unique name and image for a product in the consumers’ mind, mainly through advertising campaigns with a consistent theme. A brand exists only in the minds of your customers. It is not a logo or a trademark or a name. A brand is the sum total of all the impressions a customer has, based on every interaction they have had with you, your company and your products. 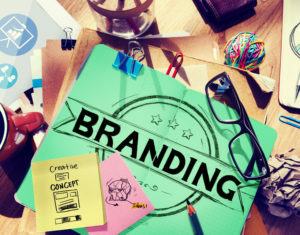 Proper branding elevates your business and career to be more than just a sum of its parts. People make purchasing decisions based on more than just product features. We must remain relevant and memorable. Clear and attractive design draws in new clients and allows your business to be easily recognizable. People avoid confusion so you must be direct and obvious so you can grow your base and expand your reach. It is my job, as your brand manager, to make sure all of your interactions with potential clients are supporting your overall strategy. My focus will be to give you graphic elements you can carry throughout your online interactions and into your real-life business that will become instantly recognizable to your clientele. I will create designs over a variety of media so that your entire presence can be cohesive.